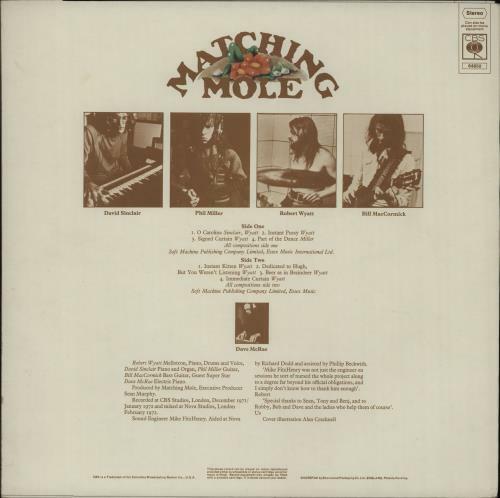 MATCHING MOLE Matching Mole (1972 UK first issue 8-track LP on a plain orange label, the debut album by the band formed by Robert Wyatt after leaving Soft Machine, also starring David Sinclair [Caravan], Phil Miller & Bruce MacCormick [Quiet Sun]. The cover shows just a few spots of discolouration & the vinyl is Excellent with a little light scuffing with minimal impact on play). 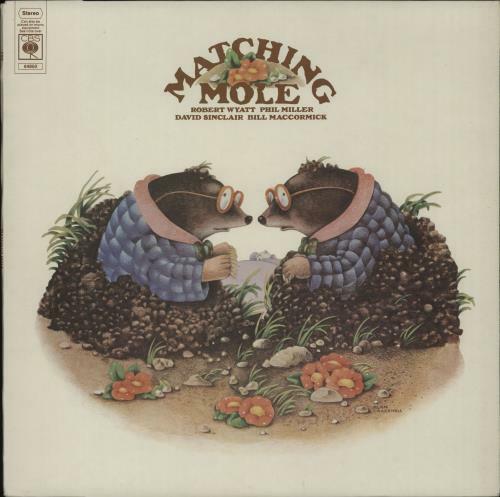 or visit our Matching Mole image gallery.